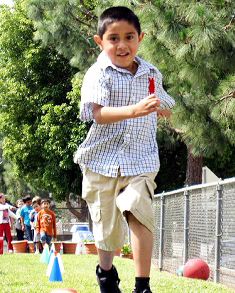 The California Preschool Instructional Network (CPIN) is brought to you by the California Department of Education, Early Learning and Care Division in collaboration with the Center for Child and Family Studies at WestEd and the California County Superintendents Educational Services Association (CCSESA). CPIN provides high quality professional development for preschool administrators and teachers highlighting current research-based information, resources, and effective instructional practices which are focused on preparing children to flourish in early childhood and succeed in elementary school and beyond. CPIN is organized into 11 regions of the state that will disseminate information, training and resources to their particular region. To find contacts in your area, please visit the CPIN Regional Leads page. New DRDP (2015) Essential views.https://www.desiredresults.us/drdp-forms The Essential view focuses on selected measures within the following domains: Approaches to Learning (ATL-REG), Social Emotional Development (SED), Language and Literacy Development (LLD), English Language Development (ELD), as required, Cognition - Math (COG-MATH) and Physical Development (PD). New Website! Preventing Suspension and Expulsion of Young Children in Child Care & Early Education Settings https://cainclusion.org/camap/resources-and-links/social-emotional-and-behavior/#preventing-suspension-and-expulsion-of-young-children-in-child-care-early-education-settings . This website provides resources that may be helpful to implement AB752 requirements.